Hang your cables with a carabiner clamp. 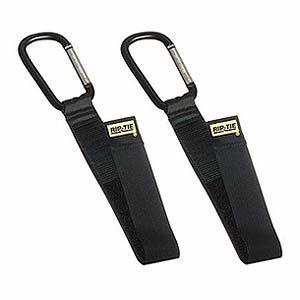 Sold as a 2-pack; strap is 9 long; carabiner is 3 1/4 long. Note: Not for climbing or where disengagement could result in injury or damage.